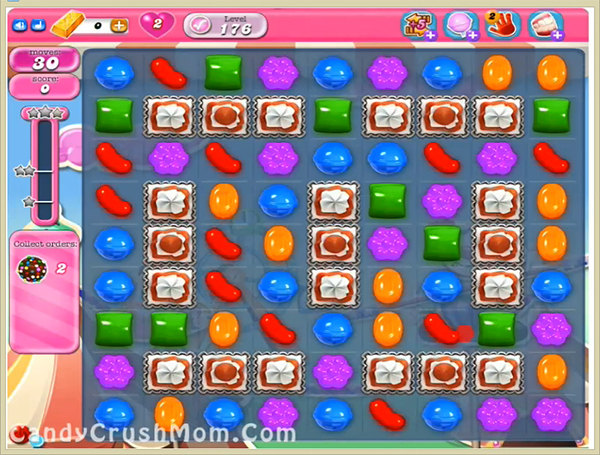 This level have normal difficulty and almost similar candy board to previous level. For this level you need to break blockers that are randomly on candy board then try to make colorbomb to complete the order. You could also just break blockers of one side and make colorbomb near to them to complete level with less moves. We completed this level with 84580 score using same strategy that we posted above and reach requirement with three star score.